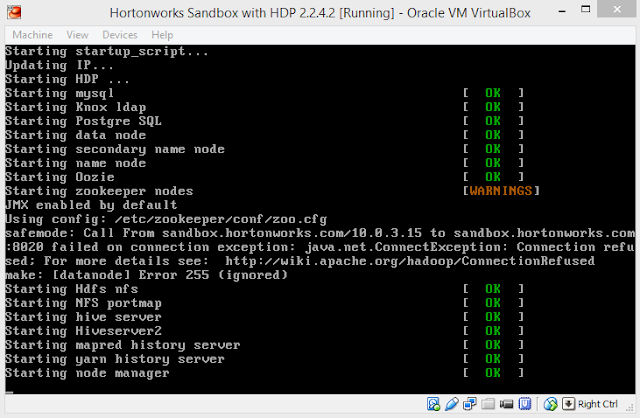 In this blog I am going to show you how to install the Hortonworks Hadoop virtual machine on your local machine using Oracle's VirtualBox. It is free so it's the best way to learn Hadoop if you are just starting out. 1. 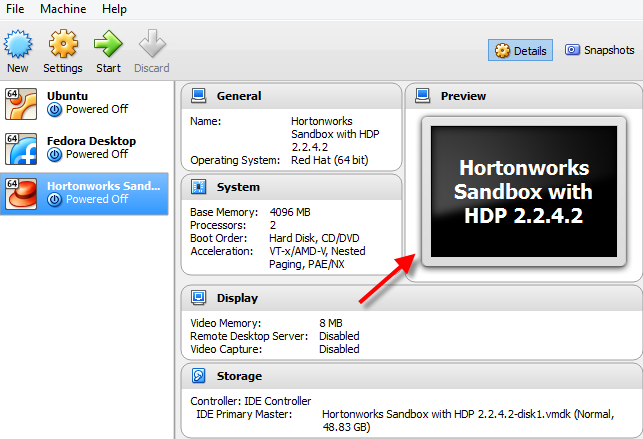 Type in the url http://hortonworks.com/products/sandbox-instructions , you will be taken to the Hortonworks sandbox download page. 2. What you want to do is download the latest stable release. Choose the virtual machine version that is for VirtualBox at the time of this writing the file should say VirtualBox(HDP 2.2.4 - 5.4 GB). It's going to take a while. 3. 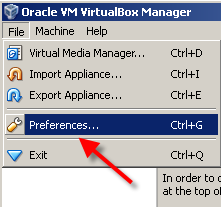 Now we are ready to prepare our Oracle VirtualBox for the sandbox, first open the Oracle VirtualBox application, then select "File" → "Preferences"
4. 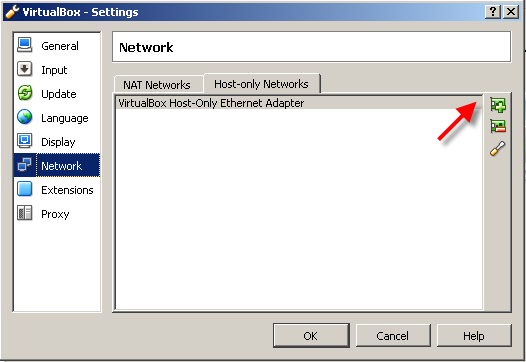 Select "Network", then select the "Host-only Networks" tab, then click the "+" icon to add a new host network adapter. 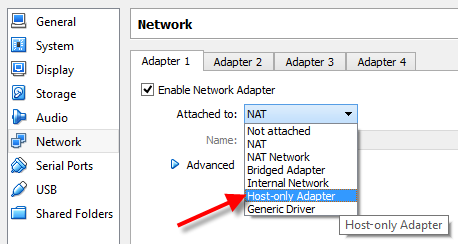 We are going to create a host-only network adapter. 5. 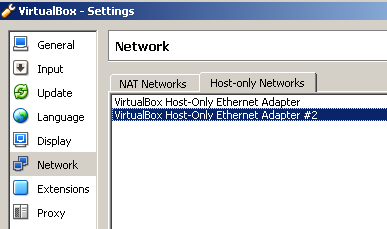 Status dialog box will appear to let you know that VirtualBox is creating a new host-only network adapter. 6. Accept the "User Account Control" permission to proceed. 7. 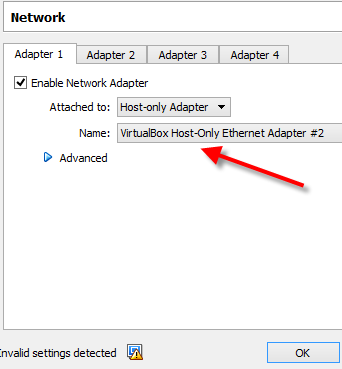 A new VirtualBox Host-Only Ethernet Adapter will appear, double click on it, in the screenshot below the adapter is called "VirtualBox Host-Only Ethernet Adapter #2"
8. 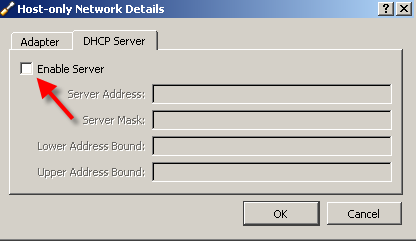 Click on the "DHCP Server" tab, then make sure that the "Enable Server" checkbox is unchecked if it is checked, click "OK"
9. 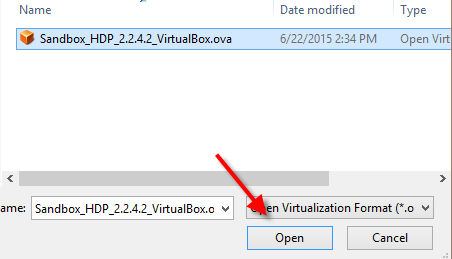 Click "OK" again to close the "Virtual Box Settings" dialog box. 11. Click on "File" → "Import Appliance"
12. Click on the folder icon to browse to the Hortonworks sandbox that you've just downloaded. 13. 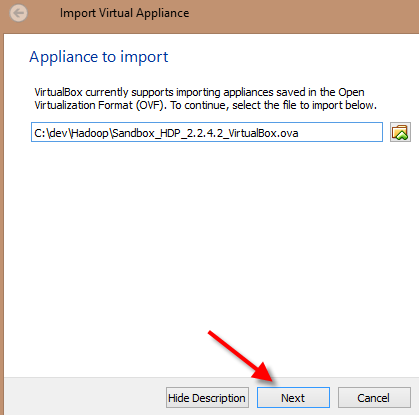 Select the Sandbox_HDP_2.2.4.2_VirtualBox.ova file, then click on the "Open" button. 15. 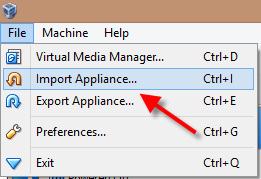 Accept the default, then click on the "Import" button. 17. 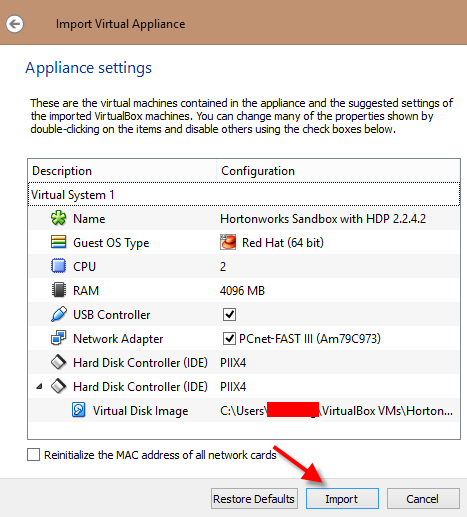 The Hortonworks HDP Virtual Machine is now hosted on VirtualBox. 18. Right click on the Sandbox virtual machine on the left hand side, then select "Settings"
21. 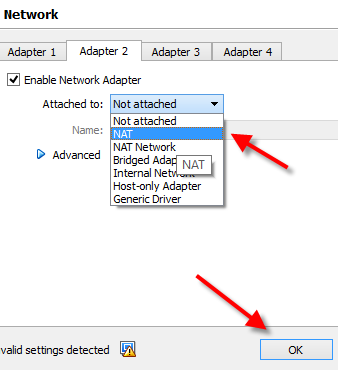 Now click on "Adapter 2", then select "NAT" on the "Attach to" dropdown list. Then click "OK" and your sandbox should be all setup, and ready to be started. 22. 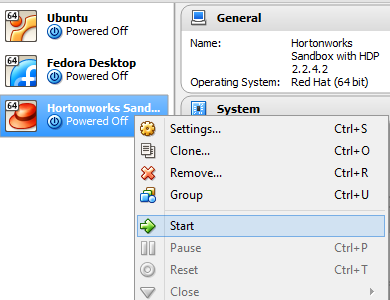 To start the Hortonworks VM, right-click "Hortonworks Sandbox" and then click on "Start"
In the next few tutorials I will go over how to install a GUI Desktop on the Hortonworks Sandbox as well as making the Virtual Machine a fullscreen display so that it will be easier for you to work with the sandbox. Thanks for great tutorial. However I have some issues getting it in a VirtualBox fullscreen mode. Is there a chance You could point out some directions? While starting hortonworks VM, hortonworks has stopping installing and displaying the last line as 'Starting Falcon [OK]' .I have tried restarting ,but ended up facing the same error.Please help me in resolving this.Thanks in advance.